The Calgary Skule™ Chapter is alive and well. Take that well deserved mid week break. 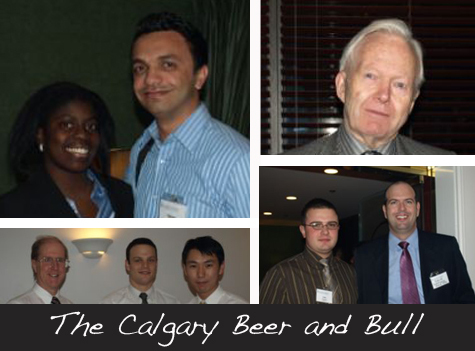 Join with other Calgary area Skule™ alumni. Get caught up on upcoming Skule™ plans. Get the latest on Skule™ itself. Network! Or just socialize with fellow Engineering alumni. It's your choice, but take that break and come on out. 112 - 222 5th Avenue, S.W. Wednesday, October 22, 2008 | 5:30 p.m. - 7:30 p.m.